This year, like every year before it, Black Friday sales are starting earlier than ever. 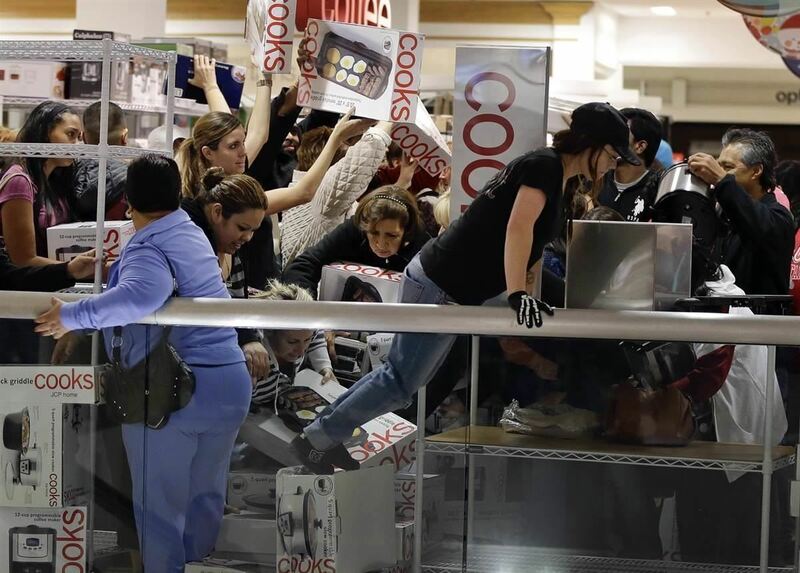 A lot of stores will be opening their doors as early as 5pm on Thanksgiving to get a head start on the madness (and it really is madness). As we've discussed in the past, one of the keys to emerging victorious on Black Friday is to plan, plan, plan. So, we've compiled some of the best deals in tech, gadgets and appliances to help you prepare for battle. Remember, it's still early in the season, so not all retailers have released their deals yet. Here are the ones that have been released or "leaked" so far, and we'll update this post periodically as the others come out so be sure to check back. Good luck. Check out their website for more electronics specials. As usual, Apple has so far been silent about its annual in-store and online Black Friday specials. The company was planning to open nine stores on Thanksgiving, but cancelled the plans due to opposition from Market Directors. Some stores will be opening early at 3am on Friday, but the majority will open at 6am. As far as predictions, though, the general consensus is that it's better to buy Apple products from resellers if you want the best deals. The Apple Store usually only offers the following deals. According to GottaBe Mobile, that means you can expect about $20 off the iPod Touch, $40 off the iPad Air and around $100 off the MacBook Pro and MacBook Air (no word yet on the iPhone 5s or iPad Mini). These deals will likely be available online as well. If you want to get an early start and don't mind refurbished products, the Apple Store is offering $80 to $130 off the original price on refurbished iPad Minis. That's all we know for now, but we'll be updating as more details come out. AT&T is currently running a pre-Black Friday sale on several smartphones including the lowest price of the season on the iPhone 5s. All deals are contingent on a two-year contract and the $36 activation/upgrade fee still applies. The iPhone 5s 16GB is also eligible for free shipping if bought online, which makes it an even better deal than any in-store Black Friday specials. UPDATE: Best Buy has confirmed that they will be opening on Thanksgiving at 6pm to start their Black Friday sale, with Midnight Mystery Doorbusters unveiled online at 10pm (deals are in-store only). More doorbusters will be available in the store at 10am on Black Friday. You can find the full item list here. There are also a bunch of discounted games for PS3, Xbox 360, Nintendo DS, Wii, PC and more, so check out the full list to see the rest. Home Depot is running a Pre-Black Friday Appliance Sale starting November 10th. This includes major appliances and home items like washers and dryers, refrigerators, microwaves, and vacuum cleaners. You can find the full list of all 54 items and pricing here. Macy's is opening at 8pm on Thanksgiving Day to kick off Black Friday specials with door-buster prices available from 8pm Thursday to 1pm Friday and again on Saturday from 7am to 1pm. Head over to the Macy's website to see the rest. As with Apple, Microsoft has yet to officially release any information on Black Friday sales, but it's predicted that the Surface 1 and Surface Pro 1 will be some of the best tablet deals around in 2013. Earlier this year, the 32GB Surface 1 with Windows RT was temporarily sold for $314 (it's currently $349.00), so a lot of people think that price will probably come back for Black Friday. As for the 64GB Surface Pro 1, it's already been discounted down to $699.00 with the Surface Pro 2 out now, so don't expect much there. Last year, Microsoft only offered small discounts on the Touch or Type Cover when purchased with a Surface, so expect that deal to pop back up. Office Depot's Black Friday sale starts on Thursday from 8pm to 11pm, when the store will close and reopen on Friday morning at 8am. The store's online sale is available all day on Thanksgiving. Office Max is offering several "sets" of deals starting at 8pm and 11pm on Thanksgiving and ending at 2am. 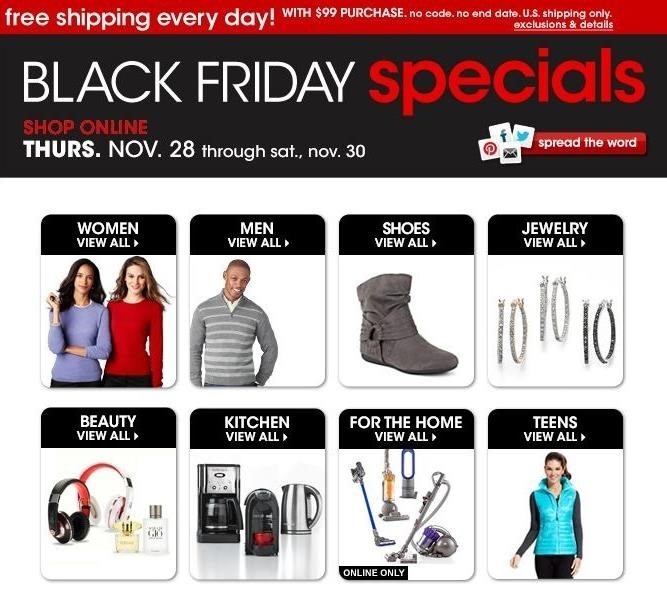 Additional doorbuster deals will be starting at 5am on Black Friday. Here are some of the highlights. You can find the rest of the leaked list here. Like Target's ad, the specific details of the items have not yet been disclosed. If the Kindle tablet is the 16GB version, then Staples will have beaten Best Buy's price by $20. More details to come. Target's Black Friday Deals are going on November 28th-30th, with an early special for gamers to celebrate the release of the PlayStation 4. Starting November 10th (according to a leaked ad), they'll be running a Buy Two, Get One Free Promotion on select PS4 games. The titles include Assassin's Creed IV: Black Flag, Battlefield 4, and Madden NFL 25. The rest of Target's Black Friday deals have not yet been released. As usual, Walmart is trying to beat everyone else to the punch by starting their sales earlier than ever. This year, they're running a month-long Early Bird Online Special, which started on November 1st, with new items featured each week until Black Friday. They're also selling the iPad Air 16GB for $479, but it's currently out of stock as of this writing (don't worry, there will be more). Walmart is also offering seven special deals in addition to the rest of the Early Bird Specials. They include a 42-inch JVC LED TV for $299 and a 10-inch Xelio 4GB tablet for $49, both of which are the lowest prices the store has ever offered. The deals start right after midnight on Friday, so check the store's website then for the rest. Again, more information will be released all month and we'll be updating accordingly as it comes out. Don't forget to check back and let us know any tips or awesome deals you come across in the comment section below.